The World's ONLY Flying Mammal - the BAT! — ZooMoo | It's All Animals, All the Time! The World's ONLY Flying Mammal - the BAT! Bats are the only living mammal on earth that can fly! Like any other vampires, bats sleep in the day and hunts when night falls. Upside down is their favorite sleeping style. This position allows them to hide from danger and sleeping in peace. When danger lurks in, they are all set to plunge for an escape. During cold weather, these highly intelligent creatures will wrap their wings around their bodies and trap air to keep themselves warm. Now, we know that owls have amazing tubular eyes to see in the dark. But what about bats? You’ve must have heard someone saying, “blind as a bat”. Let’s not get yourself confuse further because it is definitely untrue. These furry nocturnal creatures are not blind. They just prefer to rely on their ears. In fact, they are all ears, producing echolocation to move around. These means bats have an impressive ability to measure distance through sound in black darkness. Some bats are loners. They prefer to live by themselves, minding their own business. Some others prefer living in dark caves, together with thousands of other fellow bats. These creatures can live for over 20 years! There are 2 types of bats - insect lovers, and fruit fanatics. 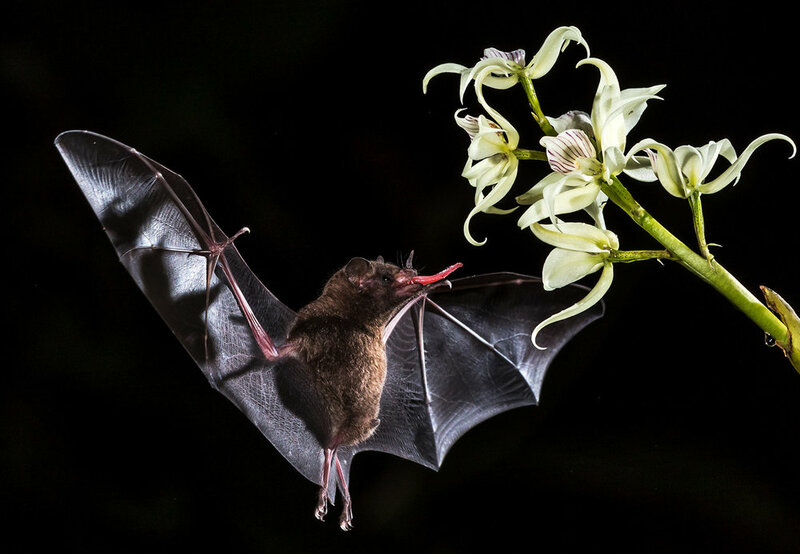 The insect-eating bats can eat about 1200 insects in an hour! Do you have an interesting fact about bats that you want to share? Drop a comment below and #animalfunfact. It’s always fun to learn more! Remember - it’s all animals, all the time!